The Legend of Zelda: Guardian Attack! Sail the seas for high adventure! Get ready to face the toughest bosses with the wise King of Red Lions as your guide! MAJOR UPDATE: 8/16/13 I have given this set another facelift, this time expanding the island and creating an enemy for the King of Red Lions with the warship. 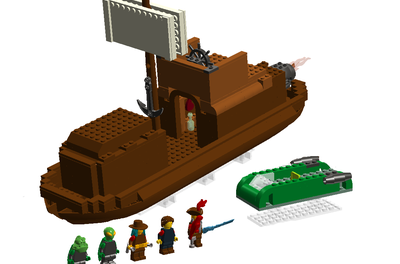 The set would now be 576 pieces, probably in the $40-$45 price range. 1) The King of Red Lions sail is moveable and his head can be turned and placed in a variety of positions. The sail can be swapped out for the cannon (non-firing). 2)There is an enemy warship to battle. 3) Link can fight the Chu-chu jellies on the island. Also, the rock can be removed to revealing a hole that leads to secret chamber where. 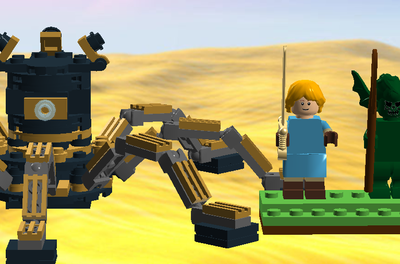 Link must then battle the spiders to retrieve the treasure. The chamber is accessible via a hinge. UPDATE 2/13/13 I have given this set a reworking. I have updated the boat and the island and I have created a far more accurate Link. This set has 205 pieces. At this piece count, this set would probably be in the $20-$25 price range. 1) The King of Red Lions sail is moveable and his head can be turned and placed in a variety of positions. 2) The tree can be "chopped" as in the game. I think the set works as a stand alone set but a line could certainly be expanded from this. 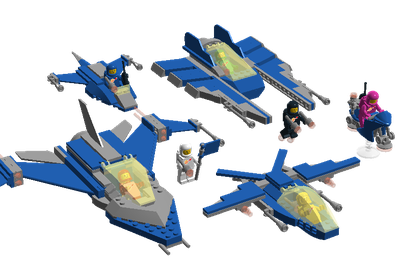 The set - 576 pieces. The boat has been altered for accuracy and it's a bit bigger in the middle. The island has been reduced quite a bit to bring down the piece count and to appear more "LEGO". The Chu-chu has been redesigned slightly. Here is a closeup of the warship. The turret turns. The secret chamber! Fight the spiders and open the treasure chest! 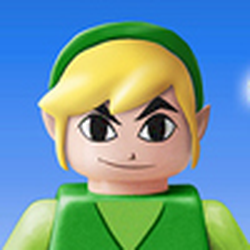 New Link - No new molds.